I’ve been out of action for a while – meaning any activities to do with ancient Egypt – I’ve been working on projects that put bread on the table. But in the spare moments I tinkered with the Discovering Egypt website improving the pages so they work on all devices. I’ve also combined the Newsletter (blog), the shop and the website together and made some improvements to the website’s design. It’s still a work in progress and I’m also updating the apps so that they work better on Windows 8.1 and 10, as well as making a new app that works on the MAC. Once at the Hall of Judgement, the heart of the departed would be weighed in a balance against the feather of Truth. For those who had led a good life with no evil deeds weighing on their conscience, the reward of eternal life in paradise awaited. But if the deceased had a heart made heavy with guilt and misdemeanours, the only hope lay in reciting another magic spell to reverse the evidence of its weight. Book of the Dead, R.O. Faulkner. I’ve also upgraded the game of Senet and released it as a FREE download. Check it out here and enjoy. Melvyn Bragg discusses Cleopatra with Catharine Edwards Professor of Classics and Ancient History at Birkbeck, University of London, Maria Wyke Professor of Latin at University College London and Susan Walker Keeper of Antiquities at the Ashmolean Museum at the University of Oxford. 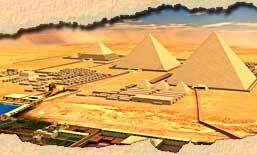 2500 years before the Romans, the ancient Egyptians were carrying out amazing feats of engineering. These great monuments served as a warning to all of Egypt’s enemies-that the world’s most advanced civilization could accomplish anything. This two-hour documentary uses cinematic recreations and cutting-edge CGI to profile the greatest engineering achievements of ancient Egypt. I’m also working on two updates for Egyptian Hieroglyphs. The first will be released before Christmas and make it compatible with Windows 10 and repair the print function on Windows 8.1. This will be FREE to people who have already purchased old version. Then next year I’ll be adding more Hieroglyphs from the Gardiner code – this will not be free but current owners will get a discount. The Pyramid of Djedefre (son and successor to king Khufu) is located at Abu Rawash and is now mostly ruins. But it is thought to have been the most beautiful of the pyramids, with an exterior of polished granite and crowned with a large pyramidion. Some think it was used as a quarry during Roman Empire and that’s why it is a ruin today.